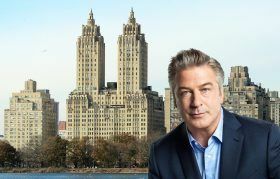 It’s like musical chairs for Alec Baldwin and his apartments at the Devonshire House. 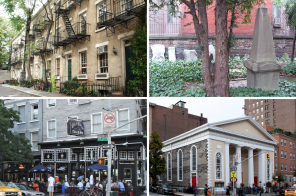 He bought the Greenwich Village building’s penthouse for $11.7 million in October 2011; in June 2012, his wife Hilaria bought the unit next door in her name; and the following year, they scooped up an eighth-floor unit for $2.25 million. 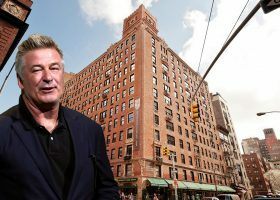 Two years ago, however, Baldwin sold this last apartment at a loss for $2.1 million, and this past May, he also unloaded the Eldorado apartment he shared in the ’90s with ex-wife Kim Bassinger, both transactions leading many to believe the Emmy-winning Trump portrayer would be departing NYC. 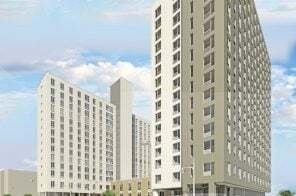 But Mansion Global now reports that he’s bought another Devonshire unit for $1.3 million. It’s on the same floor as his other two units, so it’s likely that he’ll combine the three into one massive spread. 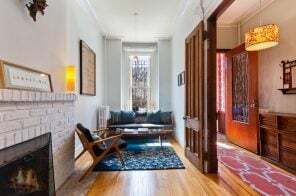 It’s been just 10 days since Alec and Hilaria Baldwin welcomed their third child together into the world, but they’re wasting no time continuing the hunt for a larger home to accommodate their growing brood. 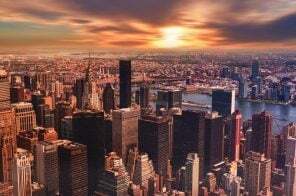 After touring a $16.5 million Chelsea penthouse at the beginning of the month, they’ve now set their sites on a similarly-sized, $16.6 million spread at Nomad’s 212 Fifth Avenue, reports the Post. The 1912 neo-Gothic buiding sits at the northwest corner of Madison Square Park, and the four-bedroom unit that caught the couple’s eyes boasts soaring ceilings, three exposures with views south to the Flatiron building and Freedom Tower, a marble-floored entry foyer, and a twelve-foot-long Calacatta gold marble kitchen island. It’s safe to say at this point that Alec Baldwin’s infamous New York Magazine tirade about leaving the public eye of New York was not literal, as two and half years later the actor and his wife Hilaria haven’t budged. 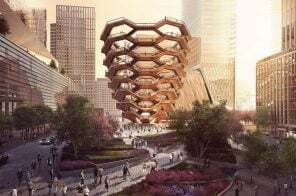 In fact, the couple, currently expecting their third child together, was seen checking out a $16.5 million Chelsea penthouse, according to the Post.